Fries + Cheese + Gravy + Popcorn chicken = the best KFC combo we've ever heard of! 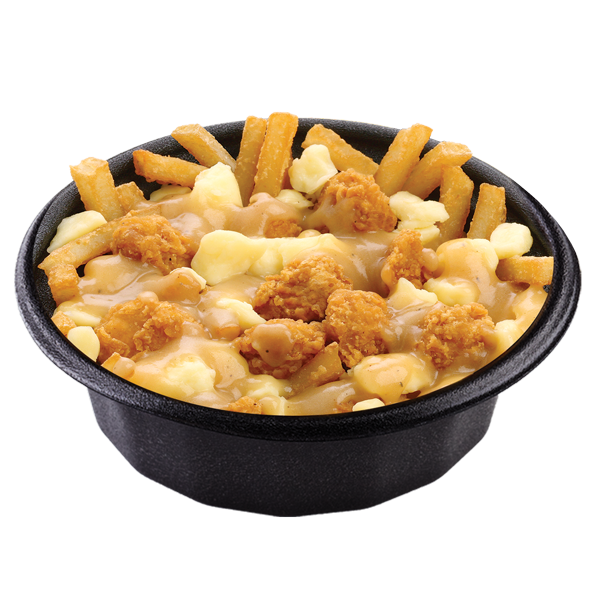 KFC Have upped the 'poutine' game with their own version and TBH, with KFC fries covered in gravy, cheese and popcorn chicken, we'd pick this over a snack box anyday. The bad news is this meal is only available in Canda atm but the good news is, while we wait for it to make it's way to NZ, we've figured out a make-shift way you can create your own at your local! Grab yourself a popcorn chicken snack box and you'll probably want to ask for an empty chicken bucket while you're at it because things are about to get messy. Ask for a couple slices of cheese that you can break up and mix around your chips so it can have chance to melt. Then you'll just need to grab yourself a gravy to mix in a voila, you're all set!